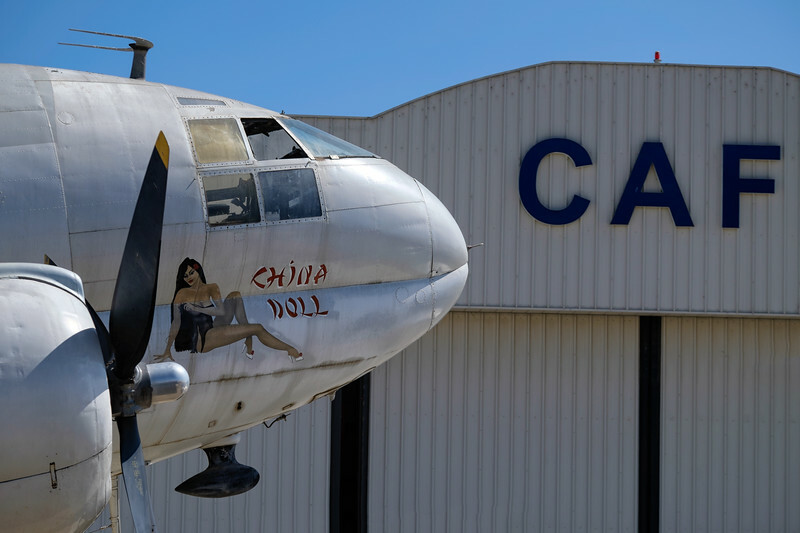 Last Friday I spend the afternoon at the Camarillo airport near Los Angeles, where the fine folks of the Commemorative Airforce (CAF) were preparing for their yearly airshow. 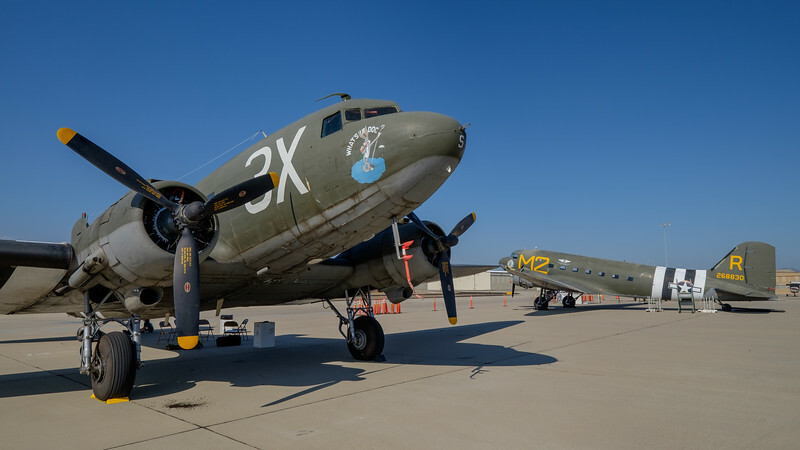 The CAF is a non-profit organisation, dedicated to restoring, preserving and showing historical aircraft all over the US and Canada. Originally known as the Confederate Airforce, the CAF has several "wings" with the main South Californian one being based at Camarillo. As I wasn't able to attend the show during the weekend, I did the next best thing and flew a single-engine DiamondStar DA40 into Camarillo the day before. Photography wise it turned out to be a great, as unlike during the air shows days itself, there were no restrictions on where one could shoot from. Pre-airshow days come with a great atmosphere, which I remember from my days helping to organise the airshow at my home airport Moorsele in Belgium. 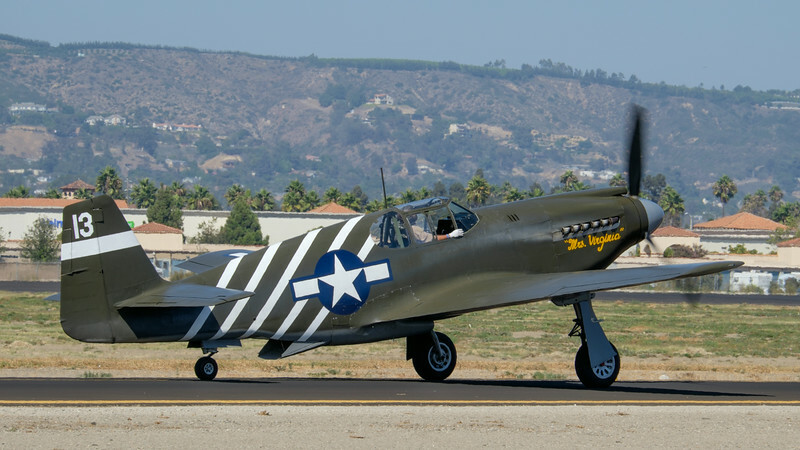 There were a fair amount of rare birds at Camarillo, such as the one and only flying P-51A Mustang flown in from Chino, CA. 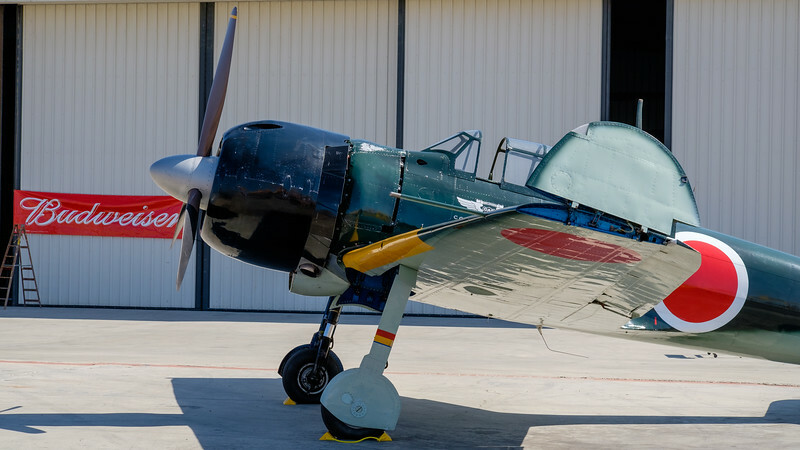 and an original Mitsubishi A6M3 Zero based at Camarillo. I especially like the contrast between the American "Budweiser" advert and the Japanese aircraft. Let's all be friends now! It wasn't all warbirds however, with a fair amount of GA and Experimental aircraft like this Rutan Long-EZ ex altitude record holder. 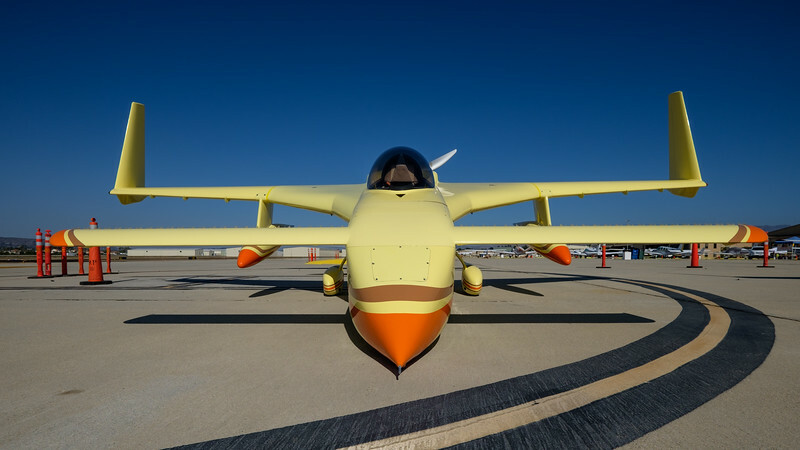 And yes, as an ex-owner of the Rutan aircraft, the Canard designs are still very close to my heart! All images were shot with the Fujfilm X-T1, with either the 55-200 or the 10-24 Fujinon lens. More photography at Camarillo can be found here. One of these happened yesterday, while I flew a +15 hour flight from Los Angeles to Dubai. The mid afternoon Californian sun was still quite high above the horizon, as we climbed to our initial cruising altitude of 33000 feet. 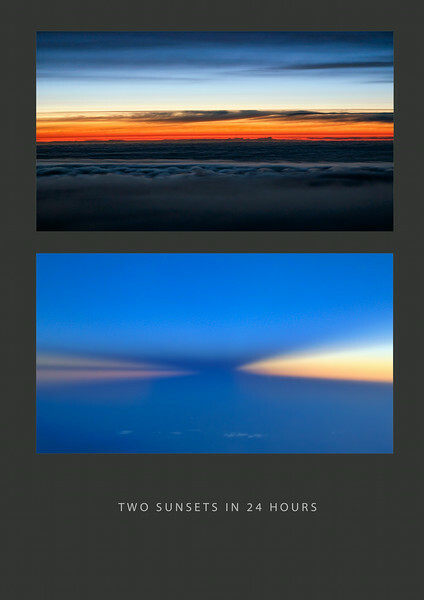 As the days are slowly getting shorter in the Northern Hemisphere and with the help of flying Eastbound, the day was quickly coming to an end as the sun set over Baffin island (top image). As we crossed the Northern tip of Greenland, barely a few hours later, a new day was born. Cruising along at 900km/h (550mph), it would be a short one. As the sun was dipping below the horizon for the second time over Iran, a huge thunderstorm created an amazing shadow on the opposite site (bottom image). 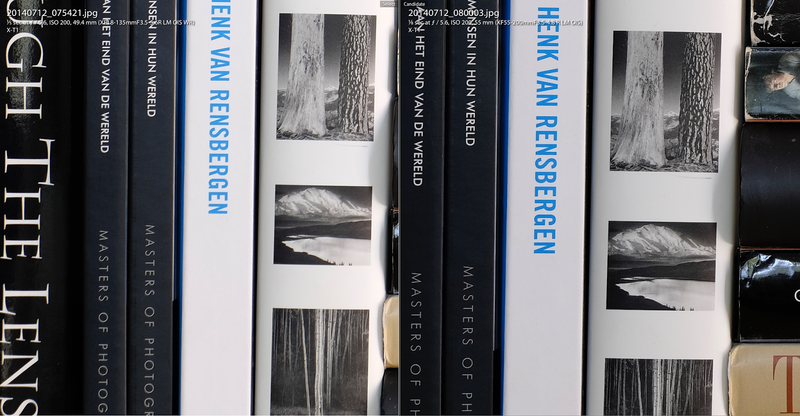 Remember: "A photograph is often looked at, seldom looked into" - Ansel Adams. Less than three weeks later, I'm now one of the proud co-owners of the Piper Super Cub that I talked about in the blogpost above. The aircraft, an ex-Dutch Air Force 1954 Piper L-21A (called PA-18-150 in the civil world), is now based in my home country Belgium. Beside being flown by myself, it will also taken into the skies by its two other owners. 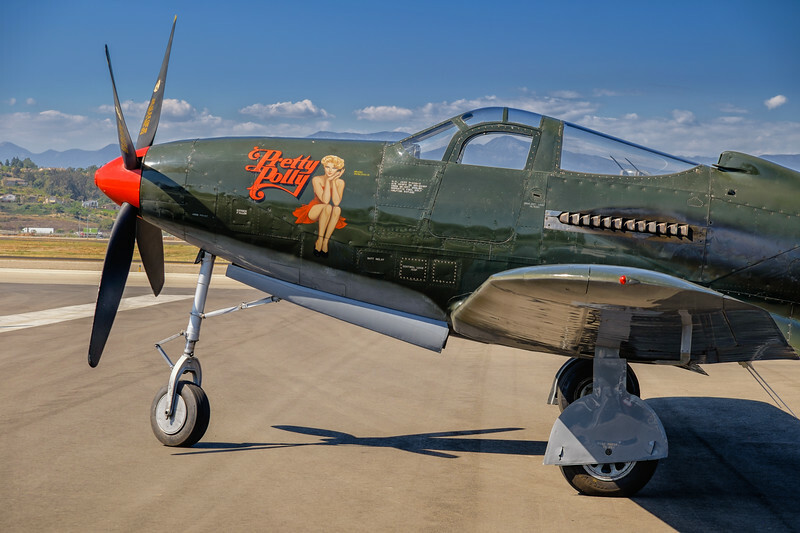 The aircraft doesn't look its age, as four years ago, the 60 year old aircraft, has been completely restored. Just back from flying the new toy around Belgium over the last week, I hardly can get rid of the grin on my face! I can't remember ever having had a "self-portrait" for my Pic(k) of the week, but since I've pretty much been living and breaching Piper Cub the entire last week, this one needed to be included! The image above was taken at Moorsele, a 700m grasstrip in the West part of Belgium, where I did my first solo flight in 1987. For me nothing symbolises the "going back to basics" more than what's above! Back to photography now... While doing some Air to Air photography last Saturday from the Cub, it became clear again how valuable a compact size system like the Fujfilm X-T1 is. Taking a full frame Nikon or Canon DSLR in a confined space like the Super Cub cockpit, would have been very different! 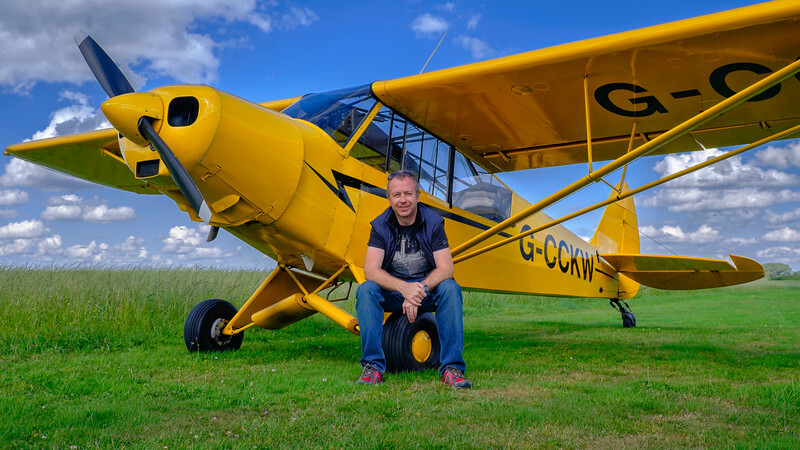 Vintage aircraft have always been high on my Aviation Photography shooting-list and as some of you might know, I'm now the proud shared owner of a 1954 Piper Super Cub. The aircraft below is not our “Cub" but a 1931 British registered visiting Travel Air 12W, parked at my local home airport in Belgium (Kortrijk-Wevelgem) for the night. When the sun peaked briefly through the clouds a few hours before sunset, I immediately framed few shots with my Fujifilm X-T1. Less than 30 seconds later, and this great moment was all gone. Next Saturday, I’m hoping to fly our Piper Cub to the Oldtimer fly-in at Schaffen-Diest, Belgium. Needless to say that my lightweight Fujifilm camera bag will be coming along as well! In Part 2 of the Fujifilm XF 18-135mm lens review, we will have a look at some real-life images shot over the last few weeks... If you missed PART 1, please click here. The camera used was a Fujifilm X-T1; a perfect companion for this new weather resistant lens! For most of the shooting I had the new MHG-XT grip on the camera, giving it a perfect balance. And to the very wet, Niagara Falls... At some stage both camera and lens were soaking wet, but didn't miss a click! Lastly, even though not a Macro lens, it focuses pretty close for a zoom as can be seen in this shot of the little 27mm pancake lens. 1/ The beginner photographer, who wants a do it all with one single lens. 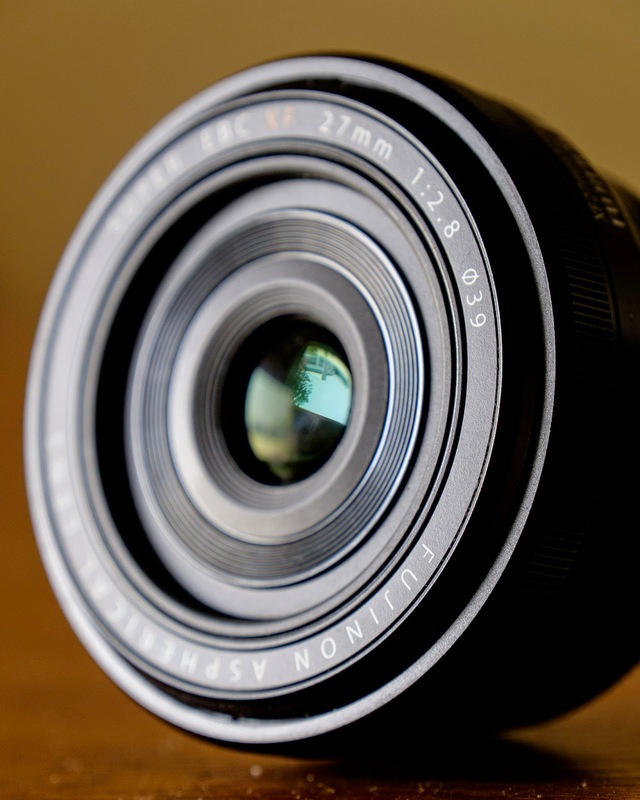 Even though the size of the lens is considerable larger than the 18-55 kitlens, the extra range might come in handy. Combine this with an weather sealed X-T1 body and you have a great "starters kit". 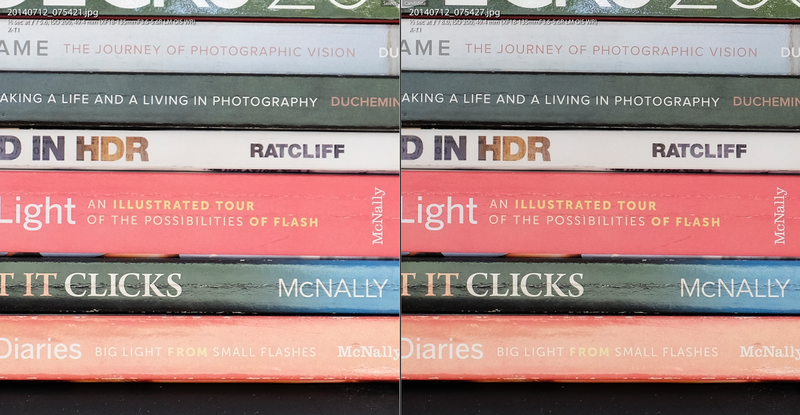 2/ The outdoor-adventure photographer, who works in an environment that is not suitable for frequent lens changes (e.g. 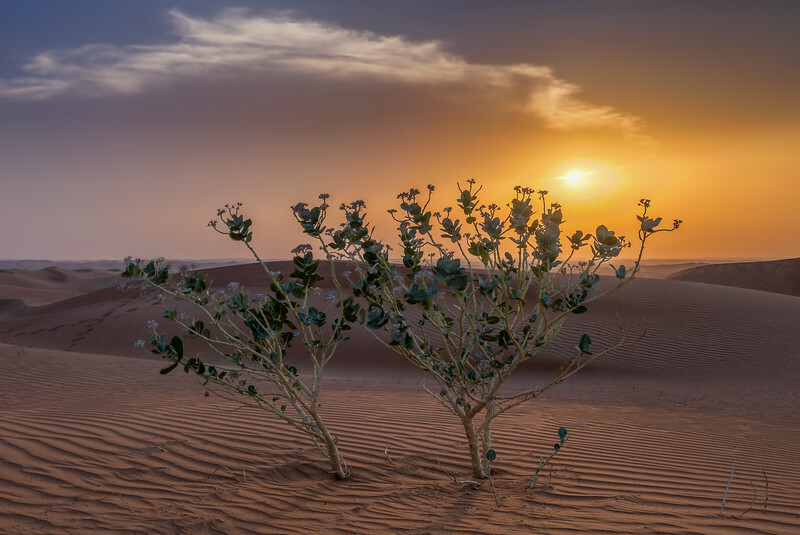 water, blowing dust and sand). As this is presently the only weather resistant lens, this is a no-brainer. WILL I BUY THE LENS? a/ Aerial photography; a quick browse in my image library, shows that most of my aerial images are indeed shot in the 18-135mm range. 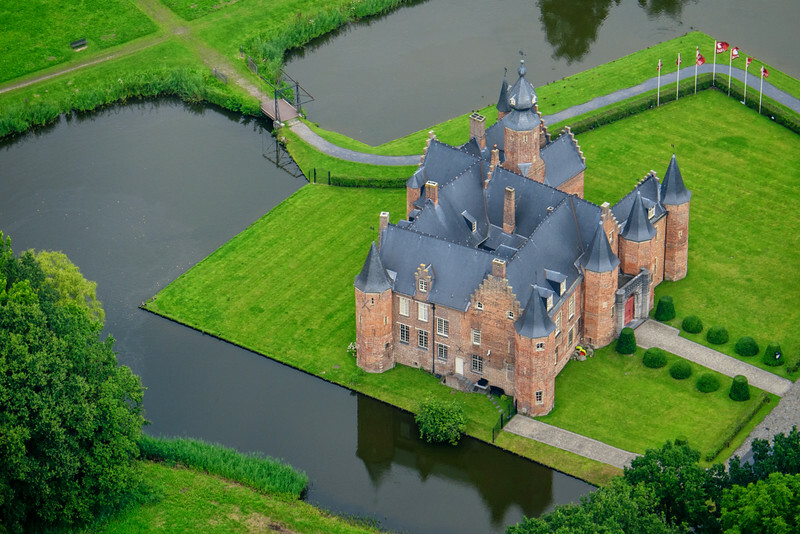 As changing lenses while doing aerial photography is to be avoided, the lens might be the way to go. b/ Air to Air photography (i.e. 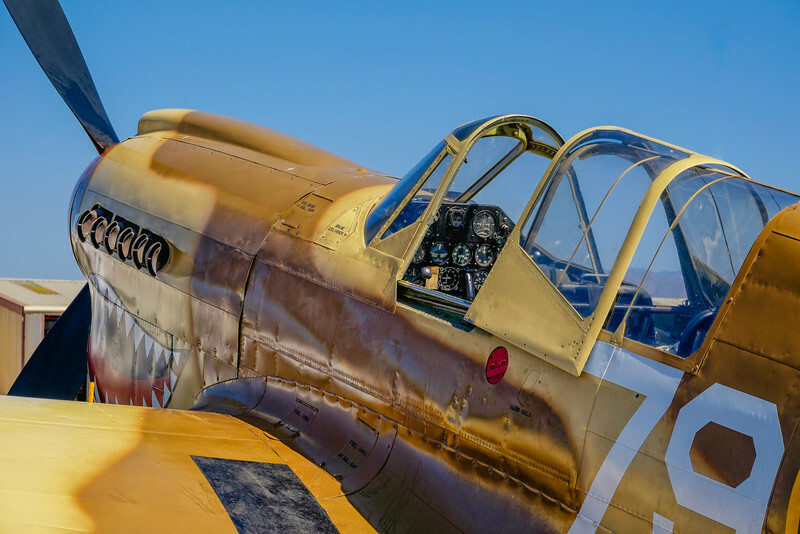 photographing aircraft from another aircraft); especially when shooting other propellor aircraft, one uses relatively long shutter speeds, to avoid freezing the prop. 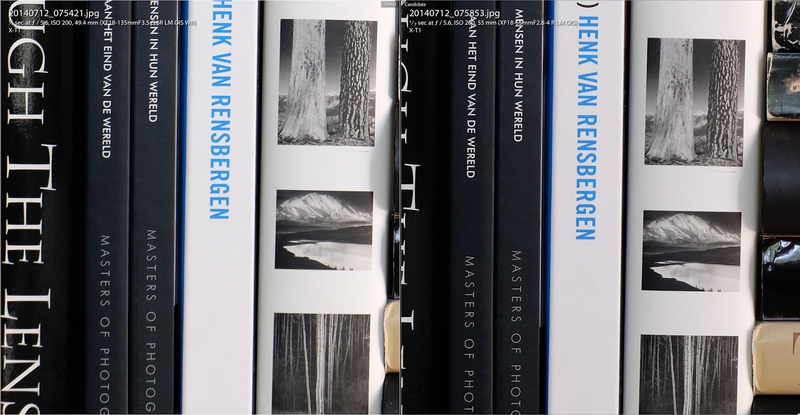 This is often achieved by using a mid aperture in the f8-f11 range. Given the slower shutter speeds, the 5 stop Optical Image Stabilisation (OIS) would be a great help when shooting out of a moving aircraft! As always is the case for a lens with a broad focal range like the 18-135, it is all about compromises; it does a lot of things OK, but nothing 100% perfect... No criticism but pure photography physics! 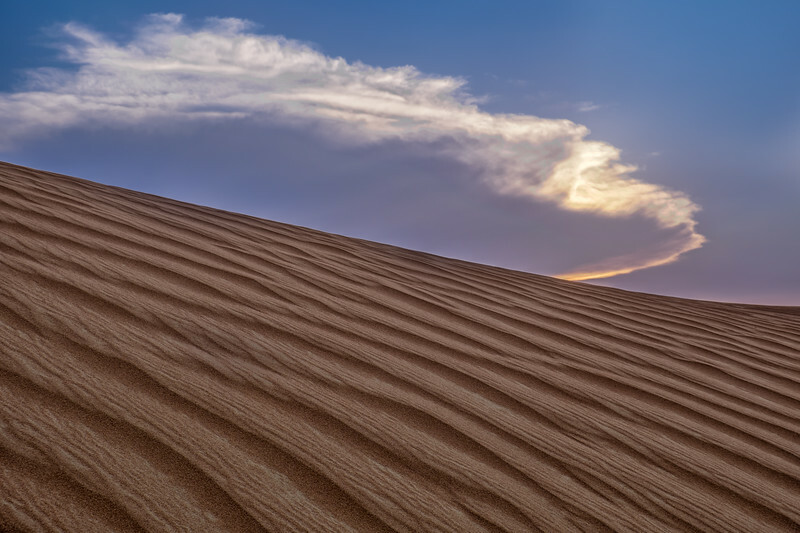 About two weeks ago, Fujifilm Middle East, was kind enough to borrow me a brand-new XF 18-135mm f3.5-5.6 Fujinon lens; Fuji's first weather sealed lens. 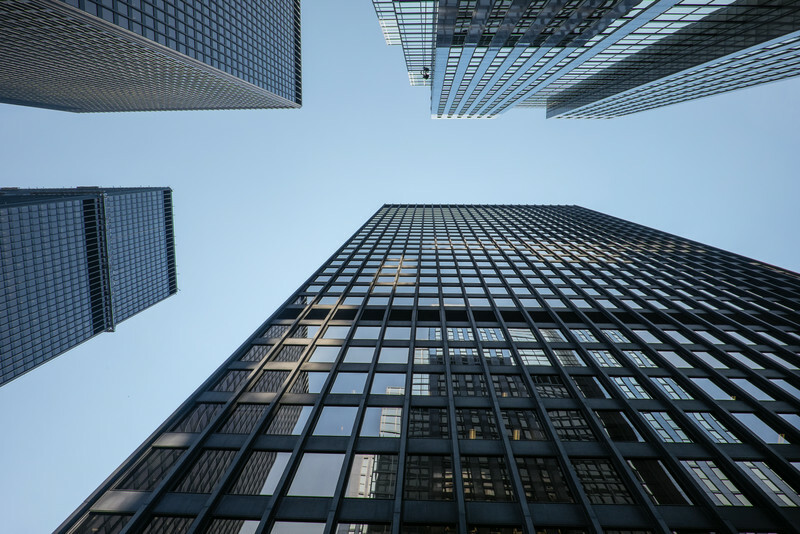 As this will be a 2 part review, make sure you check out the second part through the link at the bottom of the page or by clicking here. 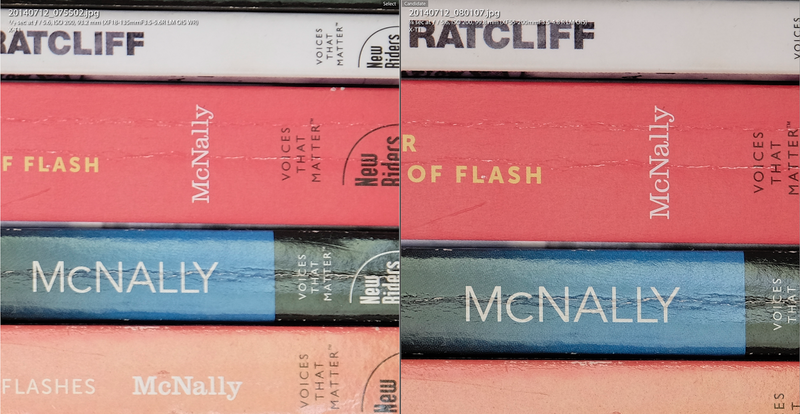 Since my copy had an "Editor sample" label on the box; I do not know whether the lens is 100% identical to the ones available in the stores today. 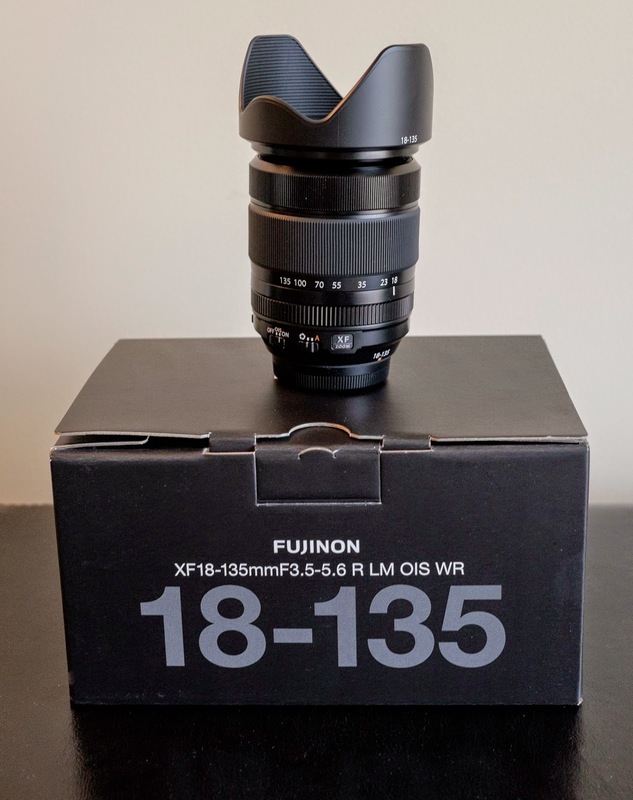 Unlike the other XF lenses which are manufactured in Japan, the 18-135 has a Made in China label. Marginally larger than the 10-24mm f4 lens and significantly smaller than the 55-200, the new zoom lens is not exactly a small lens. It does however balance very well on the X-T1 with either the larger MGH-XT grip or the vertical battery grip (VG-XT1). 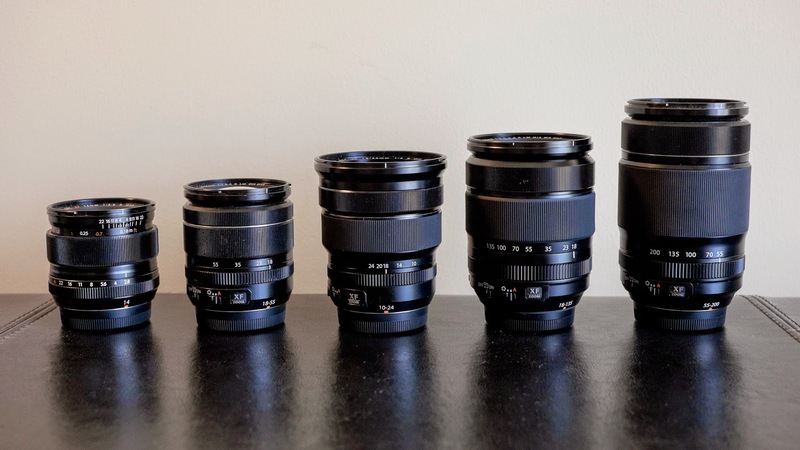 I lined up some of my XF Fujinon lenses, left to right; 14mm, 18-55, 10-24, 18-135 and the 55-200 for a size comparison. Focus speed feels exactly the same as the 18-55mm and since I used the X-T1 focus tracking was good as well. I've always felt (not academic) that the 55-200 lens focusses slightly slower than most other XF Fujinon lenses and this has again been confirmed. For those of you that have read some of my previous lens reviews such as the Fuji is going WIDE with the 10-24 f4, you probably know that I'm not into doing typical lens sharpness tests etc... However because I was curious how the 18-135 would compare with the 18-55 "kit-lens" and the 55-200, I did shoot all three lenses at different apertures and focal lengths using a tripod and remote release, with the OIS in the OFF position. Under the same conditions (f5.6, 35mm) the 18-135 is considerably softer at the edges with slightly less contrast than the 18-55 kit-lens. 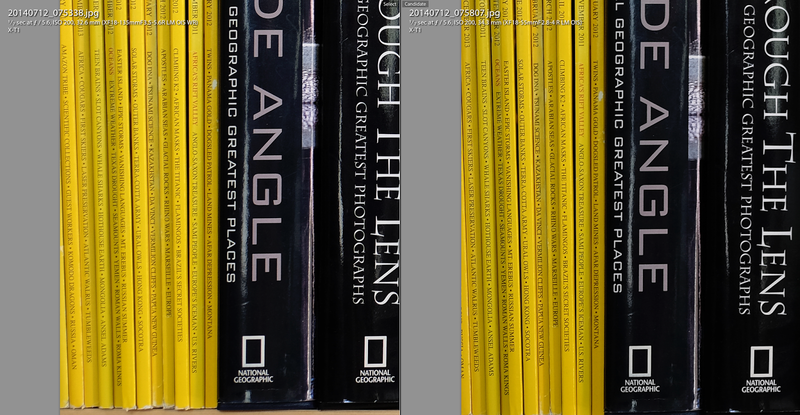 The same is true for a 55mm focal length on both the 18-55 and the 55-200, with the 18-135 always being the one on the left. 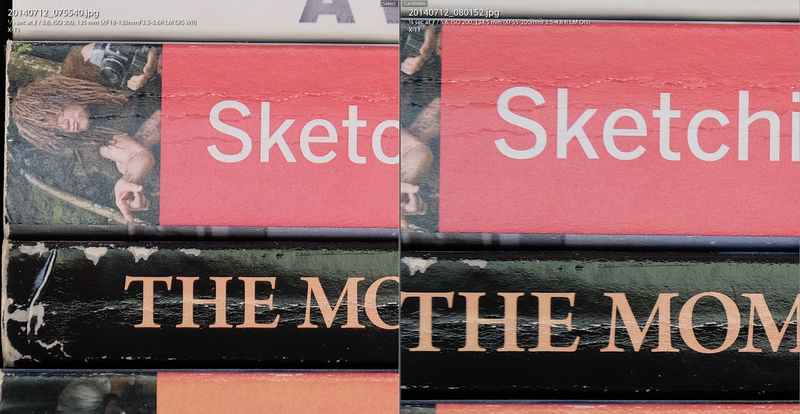 With the 18-135 lens not exactly being a fast lens (f3.5-5.6), its sharpness sweet-spot seems to be somewhere between f8 and f11; illustrated in the comparison shot below. Even though, Fujfilm does not have an in-camera image stabiliser, their optical image stabiliser (OIS), which is installed in most of their lenses, is top-noth! With the 18-135mm, Fujifilm takes it even a step further with up to 5 stops of image Vibration Reduction; sorry for using the old VR Nikon language! As an illustration, the image below was shot handheld with a 55mm (82mm full frame equivalent) focal length, at a 1/3s shutter speed. Using the 1 over the full frame equivalent focal length rule of thumb, the "normal" handheld minimum shutter speed would be around 1/80s; so very close to the promised 5 stops! In order to make sure that it wasn't just pure luck, I shot a series of images, and had about a 90% success rate. 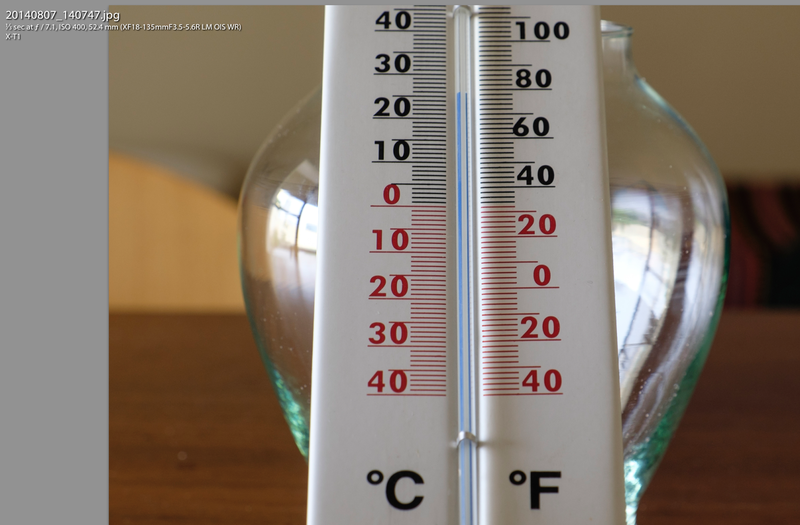 The focus point on the image below was on the 0C mark, so the somewhat softer top and bottom are only a function of the limited depth of field. Unfortunately the lens has yet again a new diameter; with 67mm the lens barrel is smaller than the 72mm of the 10-24 and larger than the 62mm of the 55-200. One has to either invest in more filter sizes or use a step-down ring. For the ones using polariser and graduated neutral density filters, the good news is that the lens barrel does however not rotate while focusing, as it is done internally. As part of my first visit to Canada (seePic(k) of the week 31), I drove up to Niagara Falls; an easy 1hr 30’ drive from Toronto. Ask any Westerner to name a waterfall and there is a big chance Niagara will come out! The Niagara Falls is the collective name for three waterfalls that straddle the International border between Canada and the US. 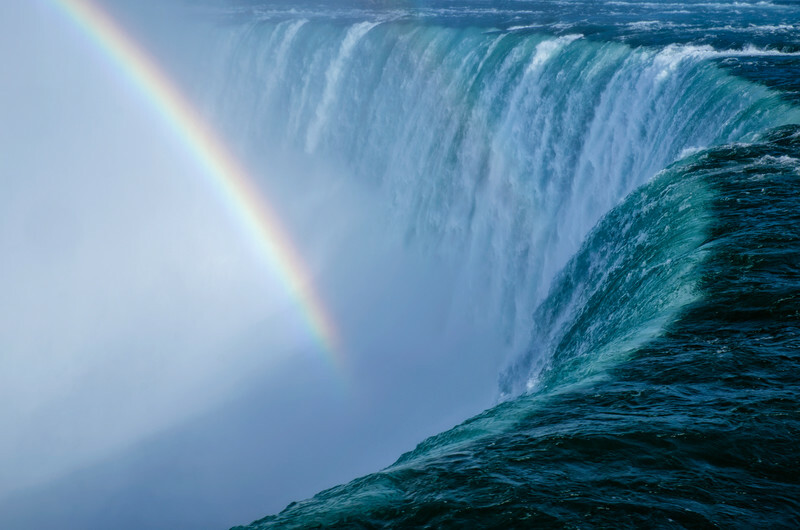 Located on the Niagara river which drains Lake Erie into Lake Ontario, the combined flow of all three is the highest of any waterfall in the world. 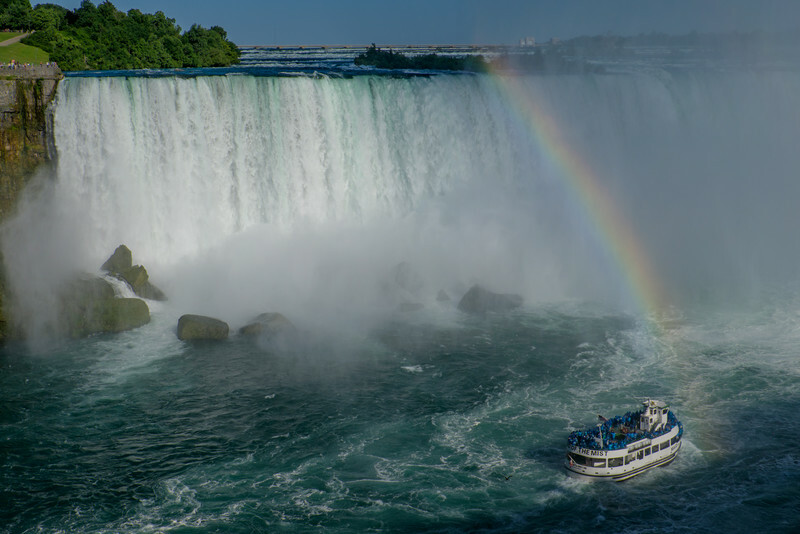 With a vertical drop of 50 m (165 ft), the most impressive one is clearly Horseshoe falls. Especially on a somewhat windy day like I was there, the mist rising from the falls creates showers of rain along the promenade; a perfect test for the brand-new XF 18-135 weather sealed Fujinon lens mounted on the weatherproof X-T1. And yes, the camera body and lens got soaking wet and didn't miss a click! The image below was shot in the late afternoon, with the sun in my back, creating a great rainbow. Even though, I don't regret having visited the Niagara Falls, it comes nowhere close to the magnificent waterfalls in Iceland. The facts that literary thousands of people are packed along the best viewing points and having an off-putting 20 dollar parking fee, makes it far too commercial for my liking. More images of my 3 hour visit to Niagara Falls can be found here. Lastly, I hope to get the 18-135 lens review out somewhere by the end of the week.